November 1, 2013 | Come See Our Repaired Balusters! 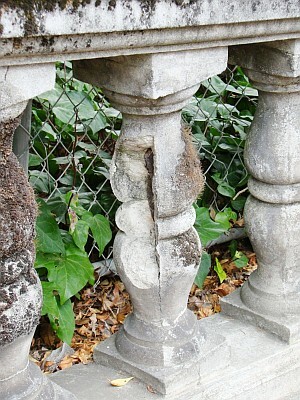 The work to repair damaged balusters has been taking place during October and is almost complete. The most damaged balusters have been replaced and our mason has done a lot of patching to the railings to preserve things a few more years.